In 1996, Assumption leaders knew that we wanted a schedule that would help us achieve our three critical academic goals. First, that we maximize our opportunities to increase students ability in the 21st century skills of collaboration, communication, critical thinking and creativity; second, that we wanted to maintain our wealth of elective offerings while we achieved our third and most significant goal—adding a third science requirement because we recognized how critical study of science was well before the significance of STEM. Research showed us that block would help us achieve all three of these goals for our students, and so we thoughtfully made the move. 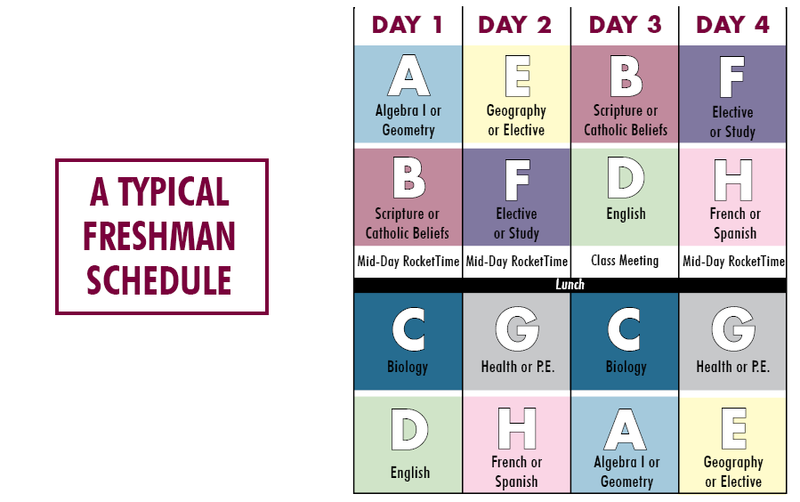 Assumption’s unique schedule provides the opportunity for students to begin making choices about their courses as freshmen, and for students who are ready to take an AP course at this time, this is an option as well, potentially resulting in some students earning college credit before they begin their sophomore year of high school.